Company culture can be defined as the ‘personality’ of a company. We most often see the true culture of an organization coming out when the C-Suite Executives aren’t around and everyone isn’t on their best behavior. We see culture manifesting in the way that people treat each other, the stories that are told in the hallways and around the water cooler and in the decisions that are made on a daily basis. Leaders – from your first line supervisors and team leads, upwards – set corporate culture and its very possible that there are some skeletons hiding in closets in your company that you as a Senior leader or exec, don’t even know about. Seeing as it’s Halloween and scary stories abound, let’s help you to recognize some of the ghoulish and ghastly things that may be happening right underneath your nose, causing unhappiness in your teams and, ultimately, causing people to walk away from your company, in search of greener pastures. And let’s be honest, in the modern war for talent, there are few things scarier than losing your best people to competitors because they hated working at your company. Learn to recognize some of the signs and behaviors that drive people away and start taking action before it’s too late. There are so many great books and courses out there and consultants and coaches like me, who work with corporate leaders to improve their company culture. The one thing that we all have in common, is that we start by asking you what your core company values are. This is usually super easy for companies to answer and they point us in the direction of a poster in the lobby or proudly point out a section on their company website where they proclaim how they’re all about stuff like ‘honesty’ or ‘creating value’ or ‘innovation’ or ‘respect’. These are all very admirable values to have, don’t get me wrong. However, when we start asking companies to unpack those values and explain to us the behaviors, policies, systems and practices that support the values on the poster, things start going a little pear-shaped. Even more so when we start delving into what you think your corporate culture is all about, versus the true reality of the situation. See, what really drives culture is not pretty words on a poster in the lobby. It’s behavior. It’s actions. And unless your people are living the values on that poster every single day, in every interaction with clients or colleagues and in every decision that is made, I can guarantee you that your true corporate culture is very, very different to what you think it might be. Have you ever watched an episode of the wildly popular show ‘Undercover Boss’? Basically, CEOs and other senior executive leaders go ‘back to the floor’ totally incognito and in disguise, Togo and see what is really happening in their business at the lower levels. Sometimes the things they find are nothing short of jaw-droppingly awful. Not only do they uncover inefficiency in process or incompetence in supervisory skills, they often learn just how poorly their people are being treated by the very managers and supervisors whom they have employed to run their day-to-day operations. If you were to go ‘back to the floor’ as it were, how likely do you think it is that you will find unhappy employees who are being treated really badly? Working 14 hour days instead of leaving work at 05:00 and not looking back. Being shushed at every turn, every ounce of innovation and creativity being killed off in your business because people are too afraid to speak up or challenge the status quo. Specific signs that you want to look out for, are a lack of laughter, fun and banter amongst team members and a lack of open, honest and transparent communication. No matter how busy people get, if they are enjoying their work and enjoy being with their colleagues, it shows. There is laughter and banter and genuine, palpable warmth in the workplace. Similarly, if a manager has created a culture of transparency, you will find ideas and opinions being exchanged freely and openly. These are really monsters of our own making. We perpetuated all of this BS for the last 40 years and we continued to promote and reward some pretty darn awful people, purely because they were our top salesperson or they ‘got the job done’. As the global corporate machine, we have turned a blind eye to managers being monsters because they’ve made us money. But what is the price we have paid? How many talented and promising employees have businesses lost around the world, because the person simply couldn’t work with their boss anymore? You have the power, right now, to change all of this. It starts with shining a light on some of the skeletons in the closet and some of the toxic behaviors that kill collaboration and innovation and ultimately cause employees to leave your company. Dr. Cameron Sepah created this fantastic matrix that we can all use to redefine the concept of the ‘high performer’ so that we include not only what the employee does, but also how they do it. Using the performance-values matrix, we can start assessing and rewarding employees based not only on their delivery in their job, but also on the extent to which they are living the company values (Values-congruent behavior). Stars are the employees who are not only performing well, but also doing things that support the company culture. They are doing the right things, in the right way and they are the ones we should really be nurturing and developing. High Potentials are people who are a great culture fit, but need a little help developing their skills. With a little bit of help, development, support and time, they are future stars. Zombies are neither of the above. They’re basically ‘dead wood’ because their performance is nothing short of mediocre and their behaviour isn’t advancing corporate culture. They may not actively be doing anything to damage culture, but they generally lack credibility and are very bad at making decisions or taking a stand. Vampires are the real threat. They are those ‘assholes’ Dr. Cameron Sepah speaks of – the ones who perform really well at a functional level but do so in a manner that is completely out of step with the desired values and behaviours within the culture. Unfortunately, over time, these people acquire power and amass followers in the form of zombies who are aspiring to better performance. Soon you have an army of vampires and zombies running wild, sucking the life and the joy out of your stars and high potentials and creating that environment where there is no laughter, banter or any kind of transparent communication and feedback. 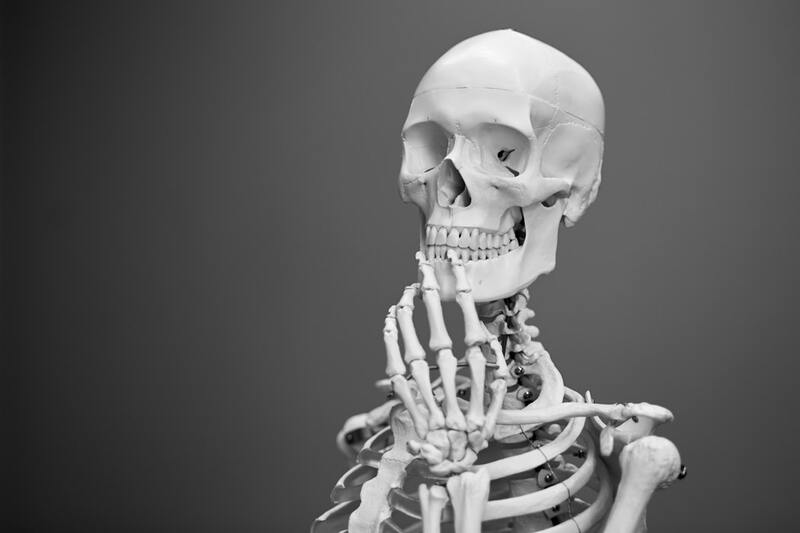 Halloween is as good a time as any to take stock of what is really going on in your organization and to clean out the cobwebs and the skeletons. It’s time to slay some vampires and starve some zombies and to start actively only rewarding behaviors that reflect the values that your business stands for. Give your employees the means to communicate their feedback and ideas. Create a culture of truly caring for and caring about your employees and putting your people first. Your stars and high potentials will thank you for it and repay you not only with outstanding performance and output, but also with reduced absenteeism and staff turnover.